It might sound strange, but I find going to the library quite exciting. 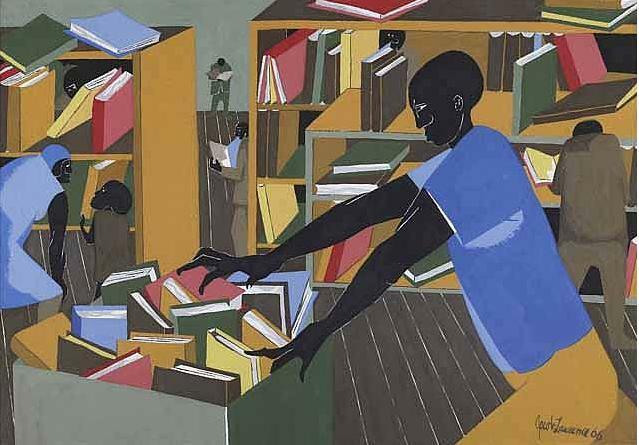 I think I like this painting because the posture of the people seems to convey excitement over finding a good book. The color, too, is electric. I don't find it strange at all!